With our own way of grasping the meaning of life, the essence of existence, and an understanding of why situations are what they are, we struggle. Each of us deals with this struggle in a different manner: whether it’s through confrontation, creative expression, suppression, or failure to even acknowledge its existence. 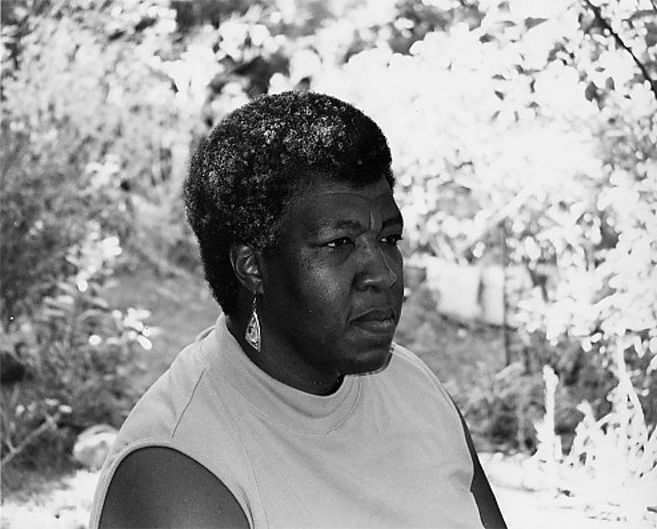 Often referred to as a kind of literary prophet, Octavia Butler gathers her questions and uncertainties about life into a basket woven of imagination, personal experience, and creativity, to produce stories that attempt to assemble life’s puzzle. She removes the reader from him/herself in order to reveal the perverseness and flaws within certain human idiosyncrasies that are accepted as the norm. Octavia Estelle Butler was born, on June 22, 1947, in Pasadena, California, the only child of Laurice and Octavia Butler. At an early age, her father passed away, leaving her to be raised by her mother and grandmother. Witnessing her mother’s financial struggle working as a maid, and being shy and lonely as a child, she often daydreamed as a way of coping with the gloom of her and her mother’s reality. She was raised in a racially mixed environment and never faced overt acts of racism; yet, the alienation that she and her family experienced was one that would plague Octavia as a child and birth mind-boggling novels and short stories in her adult years. Butler suffered from dyslexia, a disability that hindered her academic performance in school; however, she eventually overcame the condition. At the age of 10, she began writing short stories and spending all of her spare time reading. By 13, she was entering writing contests regularly and had discovered her passion for the literary genre of Science Fiction. She attended Pasadena City College and received her Associates Degree in 1968. Around this time, she had become interested in being a freelance writer because she was tired of the numerous blue-collar jobs she had maintained during her college years. Butler’s turning point was attending the Open Door Program of the Screen Writers’ Guild of American and Clarion Science Fiction Writers’ Workshop at the University of California in Los Angeles. There, she was encouraged by Harlan Ellison to pursue her passion. Shortly after, she released her debut story “Crossover” in 1971. During this time, she was also working on her novel Kindred, which was published in 1979. After the release of “Crossover” and Patternmaster (1976), the first of her five-volume Patternist Series, she had begun to establish herself in the literary world. Entering a genre that has been historically dominated by the white male presence was like walking on water: something that no one expected or believed was possible. Octavia’s unique style of science fiction has earned her acclaim and respect from numerous critics and authors in the Science Fiction genre and the title of “grande dame of science fiction.” Perhaps the greatest flattery (and success) is the emergence of more African-American authors in science fiction such as Tananarive Due, L.A. Banks, and Nalo Hopkinson: all of whom have drawn inspiration from Butler’s works.